There’s an interesting opinion piece in Thursday’s New York Times looking at the lack of legal representation for tenants in evictions proceedings. In Queensland, we generally don’t allow lawyers in the tenancy tribunal but the principle of unrepresented tenants still applies. 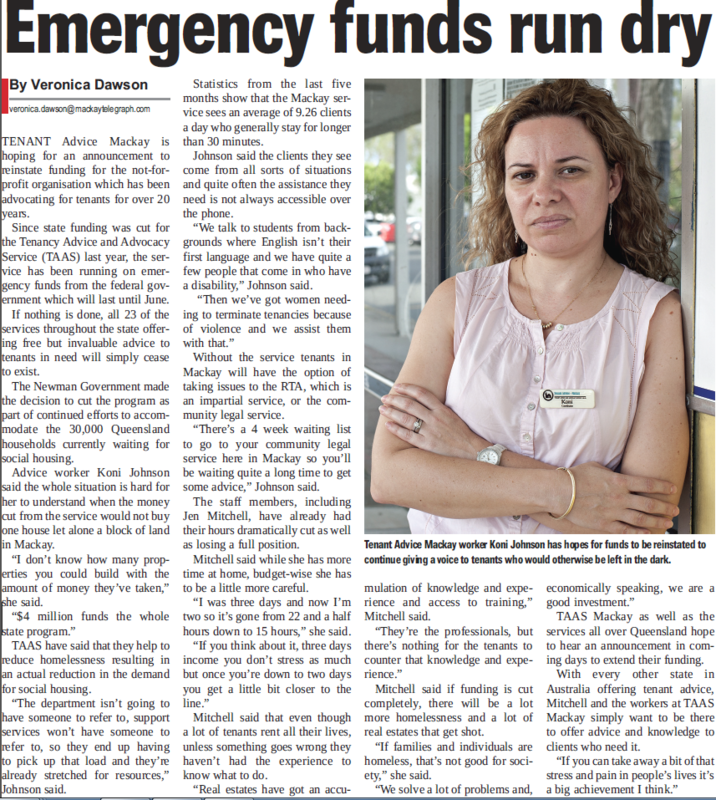 If we don’t win the longer term campaign to get tenant advice services refunded we might see the emergence of some of the poor practices referred to in this piece. 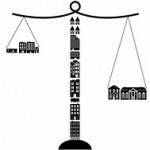 Read the New York Times piece, Tipping the Scales in Housing Court here. Send your notice to remedy breach to the Housing Minister today! 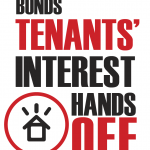 In celebration of International Tenants’ Day, we need your help again today, Tuesday October 2. 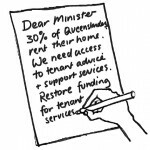 Send a Notice to Remedy Breach to Housing Minister Bruce Flegg, asking him to remedy his breach and reinstate funding for free, universally accessible tenant advice services. At the Save Tenant Services headquarters, we’re about to send ours off! For those of you who don’t know how these tenancy forms work, you have to tell the other person what their breach is and ask them to rectify it by a specified date. 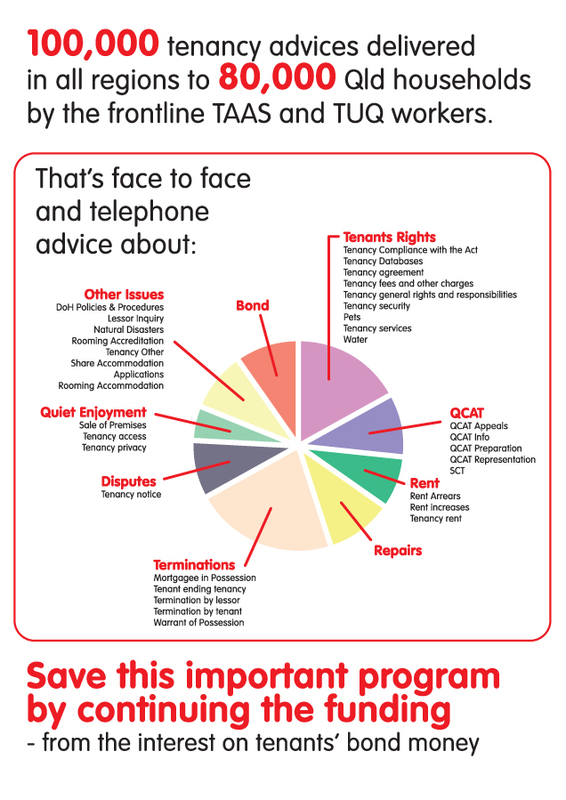 On October 2, you can describe the breach in your own words or use one of our suggestions, then ask the Minister to rectify the problem by October 31, the date on which the Tenant Advice and Advocacy Service funding will be discontinued. Fill in a Form 11 Notice to Remedy Breach – (you can make up your own or use samples). Use the NTRB filled in or fill in the empty NTRB here. Tell your friends, family and colleagues to join the action. On August 28, the Day of Action, we sent messages and made phone calls to the Minister. We delivered postcards to the Premier. The government needs another reminder, send a Notice to Remedy Breach today, October 2. PS International Tenants’ Day is actually on the first Monday of October, which is the 1st this year, but because it’s a holiday, we’re sending the notice to remedy to reach the Minister on Tuesday October the second. How do you rate the Premier’s response on talkback? The Premier did talkback on local ABC station 612 with Steve Austin this morning. He go two questions about the discontinuation of the Tenant Advice and Advocacy Program but we’re not sure he actually answered the questions. See for yourself. To listen, click on the link below Press play and drag circle inside the player timer to 10.15. This is where the first of the two back to back questions start.